Never mind months, 3306 hasn't been in service for years. It was due to be retired in 2015, but did its coolant line sometime in 2013, then sat at the back of Aldagte depot doing nothing for a few years before being scrapped. It was a sad way for such a great bus to go, but these things happen. It was mostly used on 852L School Runs and was the last high-floor in the Hills. 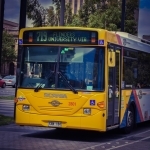 The 'SouthLink - Owned Fleet' list is very out of date - last updated in 2013. Rosa 34 has been renumbered 3134 and is at Elizabeth, not Aldagte. Is there even much point to that list? SouthLink's 3100 is a weird one, SouthLink own it and have signwriting on it, but it is only used on Charters and School Services. I think it would be better off in the LinkSA list with a note saying it's in signwriting for SouthLink, they're the same company anyway. And another question - where does one find the 'body number' on a bus? I notice 3225-3229 are missing theirs, and that's probably something I could get. On the topic of MAN SGs, I think they should be removed from the list, as mentioned here and elsewhere, they're not going to be used again so it seems silly to have them still there. Lt. Commander Data wrote: On the topic of MAN SGs, I think they should be removed from the list, as mentioned here and elsewhere, they're not going to be used again so it seems silly to have them still there. Yep, they should be removed. It has been confirmed numerous times by many (drivers included) that they will all be sold off/scrapped. Lt. Commander Data wrote: And another question - where does one find the 'body number' on a bus? I notice 3225-3229 are missing theirs, and that's probably something I could get. Body, chassis and other plates are found at the front doorway; on the lower panel nearest to the front nearside tyre. They're practically at floor level so the information is recommended to be obtained whilst the bus is stationary. You'll be looking for the body number, and a date which should be on the same plate.